Pay 1% and get the booking done. Huge spot discount for GUDDI PADWA! Ruparel Nova is a residential development of Ruparel Realty. Located in Parel, Mumbai, it is built across a wide area. These luxurious 1BHK housing units make it a dream home to everyone. These apartments are beautifully crafted with amenities and are approved by Maharashtra RERA. In which area is Ruparel Nova located?The project is situated in Parel, Mumbai South. What size of flats are available in Ruparel Nova? The apartment sizes in the project vary from 359.0 sqft to 374.0 sqft. How much is the total size of Ruparel Nova?The project is spread over an area of 2.62 Acres. 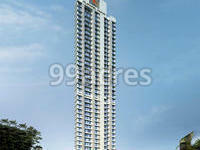 What is total price of 1 bhk in Ruparel Nova? 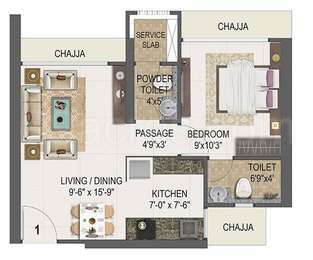 1 BHK units in the project are available at a price tag of Rs. 9899874 to Rs. 9900243. What is the average price in Ruparel Nova? Prices of flats in the project start from Rs. 9899874 and go up to Rs. 9900243.